Never Binge Again and Get Your Eating Under Control! What is your comfort food? And have you ever considered what foods you struggle correlates with the stresses in your life? 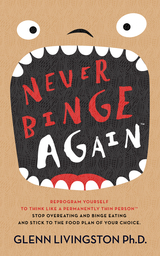 Are you able to control your food consumption and stop the binge? Glenn Livingston, Ph.D. shares what he’s discovered about stress eating and binge eating from his own personal experience and working with hundreds of clients. 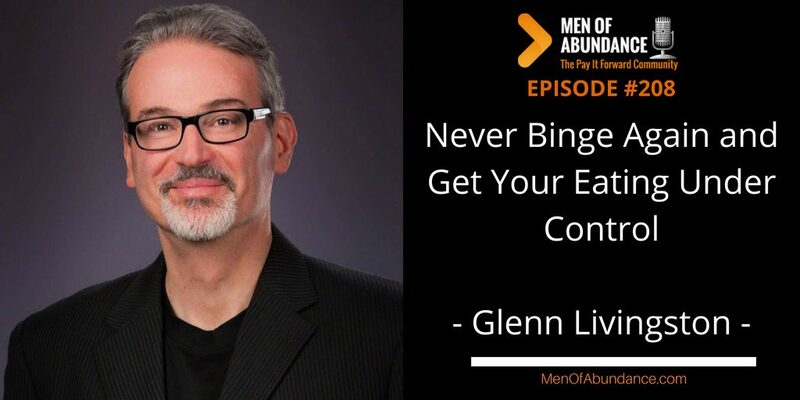 Glenn Livingston, Ph.D. is a veteran psychologist and was the long time CEO of a multi-million dollar consulting firm which has serviced several Fortune 500 clients in the food industry. 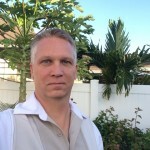 You may have seen his (or his company’s) previous work, theories, and research in major periodicals like The New York Times, The Los Angeles Times, The Chicago Sun Times, The Indiana Star Ledger, The NY Daily News, American Demographics, or any of the other major media outlets you see on this page. You may also have heard him on ABC, WGN, and/or CBS radio, or UPN TV. Disillusioned by what traditional psychology had to offer overweight and/or food obsessed individuals, Dr. Livingston spent several decades researching the nature of bingeing and overeating via work with his own patients AND a self-funded research program with more than 40,000 participants. Most important, however, was his own personal journey out of obesity and food prison to a normal, healthy weight and a much more lighthearted relationship with food.